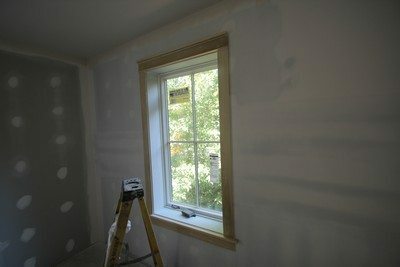 Replacement Window Contractor In Northern Virginia is Fairfax contractor. We can offer the consumer a incredible energy efficient replacement windows at an affordable price. We offer professionally installed replacement windows. Fairfax Contractor has been a local leading replacement window contractor in Northern Virginia area for years. We carry some of the top name brand windows that we can be custom build to fit your homes existing window openings. Or installation process is fast, efficient, and professional. Fairfax Contractor is local an insured replacement window company. We have a Virginia DPOR class A contractor’s License, but more importantly with an (RBC) endorsement. Fairfax Contractor is also insured for your protection. As a local company, Fairfax Contractor guarantees are some of the best in the window replacement industry. Our prices are competitive and we offer free estimates. 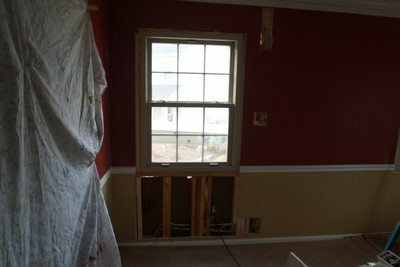 Unlike many window contractors in the Northern Virginia area, Fairfax Contractor is also a general contractor, which allow us to perform a wide range of masonry, and carpentry custom installations for unique window projects. For example, we can cut into your homes exterior brick wall and install a new window. As a consumer in Virginia, recognize there are many legitimate window companies, but very few great window companies. To be a great window company, you need to be able to do many things other than remove and replace old windows. Fairfax Contractor as a window company and contractor can perform projects that most replacement window companies don’t have the expertise or personnel to perform. Fairfax Contractor can cut brick, siding, or stone on your home install the proper code compliant header and install all windows where none exists at present. 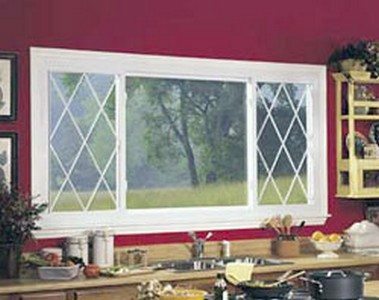 We can order all the different types of windows you may need for your home, including custom vinyl bow, bay, slider, double-hung, casement, and hopper windows. We install both thermal vinyl replacement windows and custom wood windows with exterior aluminum cladding. Buying replacement windows for your home is one of the best decisions you can make if you want to try to lower your heating and cooling costs. Additional benefits of replacing your Windows include low maintenance, a more comfortable home, and the added benefit of increased home value. Fairfax Contractor custom build and install custom replacement windows such as the vinyl bow, bay, slider, double-hung, casement, and hopper windows. Fairfax Contractor installs both thermal vinyl replacement windows and custom wood windows with exterior aluminum cladding. 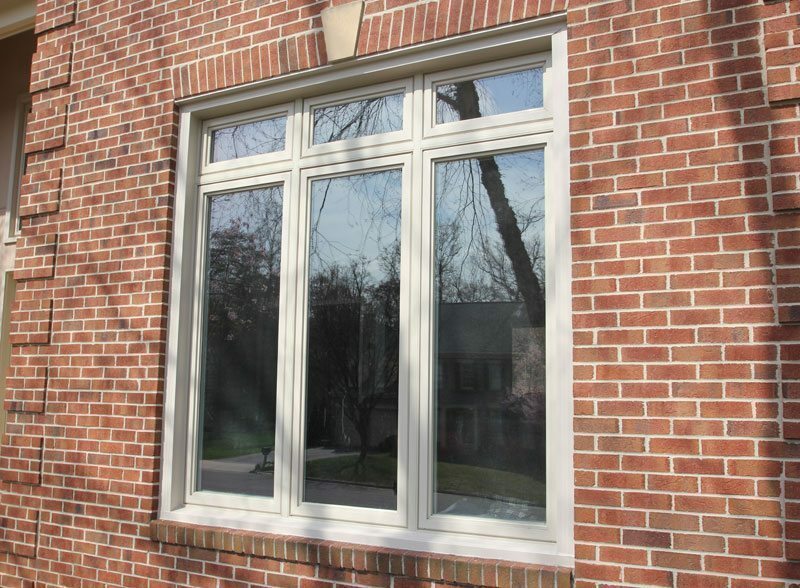 Our window systems utilize the state of the art low E with argon gas sashes. To obtain the ENERGY STAR tax credit your new replacement windows need to be rated at a.30 U factor. The U-Factor in window glass is a measurement of heat transfer. The lower the U-Factor, the better the window insulates your home. 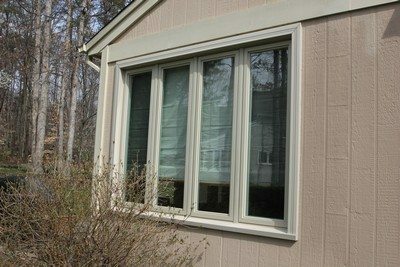 We install three grades of windows in Northern Virginia: Our mid-grade vinyl window are, SoftLite, VinylMax, Vista Windows, and CertainTeed Windows. Vinyl windows are our most popular choice for custom vinyl replacement windows. We also install custom wood windows brands that are custom built including Trimline windows and Marvin windows. We also can install Anderson windows and Pella windows. There are many high-quality windows you could replace your old windows with, but one question comes to mind, who has the premium window system. To determine what makes the best replacement window, you must ask yourself, do you want a maintenance free window, and energy-efficient window, an architectural contract window. 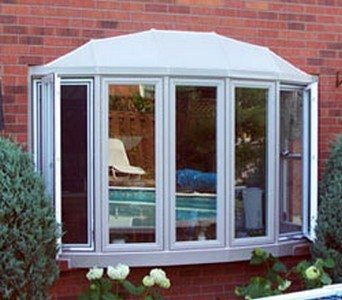 There are many window manufacturers in America that could probably fulfill your dreams when it comes to buying a replacement window. One great choice when it comes to replacing your windows is the is the Simonton Impressions which is a premium vinyl replacement window. Proper planning is a must and will help to give you the assurance that you have chosen the right windows to suit your needs, goals, and budget when the time comes. To obtain the ENERGY STAR your new replacement windows need to be rated at a .30 U factor. The U-Factor in window glass is a measurement of heat transfer. The lower the U-Factor, the better the window insulates your home. 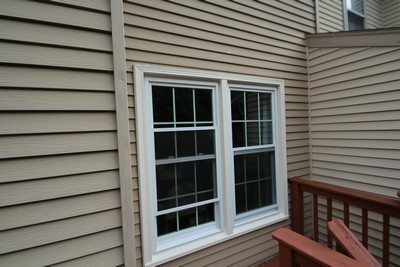 We install three grades of windows in Northern Virginia: Our mid-grade vinyl window include Vinylmax Windows, SoftLite Windows, Vista Window, and CertainTeed Windows. Vinyl windows are one our most popular choices for custom vinyl repayment windows. 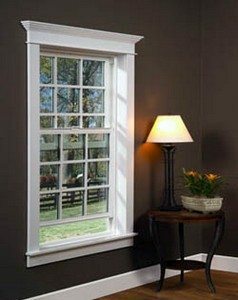 We also install wood windowVista Windows such as Anderson, Pella, and TrimLine windows. TrimLine windows are a true custom-made would window with an aluminum exterior that is built to your exact specifications. There are many high-quality windows you could replace your old windows with, but one question comes to mind, who has the premium window system. To determine what makes the best replacement window, you must ask yourself, what is your budget, you want to use wood or vinyl windows, what company will professionally install and service your new windows. when you consider all the factors then you can make the intelligent decision on what when the window works best for your home and your situation. Why do you want to replace your current windows? If you are thinking of window replacement in your home you need to find the right company to that is an expert in window replacement. Fairfax Contractor is one of the best window replacement contractors in Northern Virginia. One of the most common reasons is energy efficiency, many homes in northern Virginia that were built prior to 1985 have poorly insulated windows. A second reason Windows are often replaced as to do with their appearance, deterioration or maintenance issues. A Third motivation to replace your windows is home temperature comfort. There’s nothing worse than having drafty windows in the winter and never being able to keep your home properly heated Once you have determined the reasons you want to replace your windows, you will next want to set a budget for the project. You need to factor into your decision the quality of the product, energy savings, professional installation, and warranties. The number of windows to be replaced will also play a big part in determining the most economical style. Fortunately, vinyl replacement windows not only satisfies almost all the reasons you may have for making a change but also offers a wide range of prices to suit anyone’s budget and style. Energy Star is a program set up by the Environmental Protection Agency to help individuals save money on their homes heating and cooling costs. 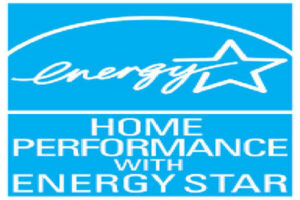 When replacing your Windows you should make sure that the brand you choose is Energy Star approval. The U-factor or U-value tells you how quickly heat can escape through your windows. Your new vinyl, fiberglass, or wood replacement windows will be more energy efficient especially if you are switching from single pane to dual pane windows. In choosing energy efficient window, it helps to have a little knowledge about how they are rated Most replacement windows have a U-factor between 0.20 and 1.20. A lower number is the more efficient window. The R-value measures how well a window performs as an insulator. The higher R-value means better insulation. The Solar Heat Gain Coefficient (SHGC) number indicates the windows capability to heat from the sun. The range is from 0 to 1.0 with 0 being the best The Visible Transmittance (VT) measures the amount of light that can get in. The higher the number, the more light you will see Air Leakage (AL) rating tells you how much air leaks through the windows in your home. A lower number always is better. Energy efficient windows will save families as much as a 30% on their energy bill. And added green bonus is the reduction of greenhouse gas emissions. All of Fairfax Contractor thermal replacement windows meet or exceed Energy Star standards. All the top brands, such as Anderson, Ply Gem, Jeld Wen, Marvin, Simonton Impressions, and Pella replacement Windows to be installed by Fairfax Contractor. Many homeowners in Northern Virginia would like to have their existing Windows replaced with a custom-built wood replacement window. There are many options when it comes to having a custom-built replacement window that is built of wood. The name brands for wood replacement Windows are many. But the problem is most name brand wood replacement windows are designed for new home construction. Pella Windows and Anderson’s window lines are standard size windows, and probably require a lot of construction work to retrofit these Windows in the openings of your existing home. Fairfax contractor offers custom-built wood Windows that do not require modification, trim changes, yet allowed a state-of-the-art custom-built wood replacement window system. Ply Gem Windows offer an affordable wood alternative to thermal vinyl replacement Windows.